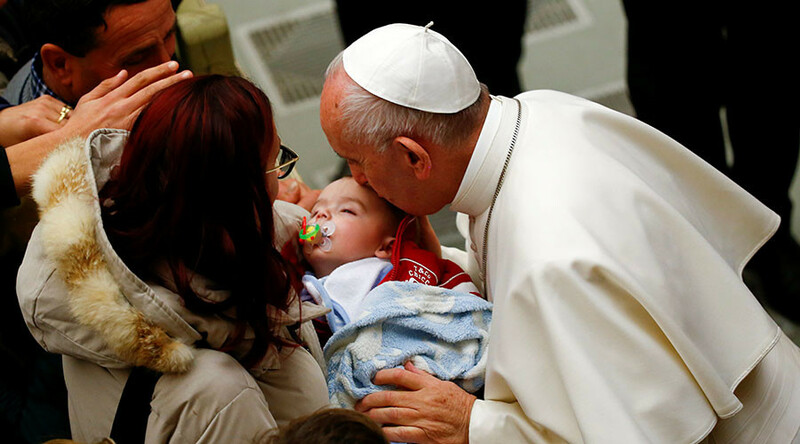 Pope Francis has told mothers to freely breastfeed their hungry infants while in Church, as the pontiff baptized 28 babies in the Sistine Chapel to mark the feast of the Baptism of Jesus Christ. Telling worshipers that Christ’s first sermon was made to the sound of his crying in the stable at Bethlehem, the Pope told mothers during his sermon they should not hesitate to feed their young ones, as a cacophony of baby cries ascended to the ceiling of the Sistine Chapel, painted by Michelangelo. Joking that a concert had begun, the Pope reasoned that babies may be vocal because they were in an unfamiliar place, or because they had to get up early or simply because they were hungry. “The ceremony is a little long, someone’s crying because he’s hungry,” the pontiff said as the sounds of babies crying grew louder. “You mothers, go ahead and breastfeed, without fear. Just like the Virgin Mary nursed Jesus,” he told worshippers at the ceremony which witnessed baptism of 15 boys and 13 girls. Baptism is the sacrament at which infants or converts are initiated into the Christian faith. 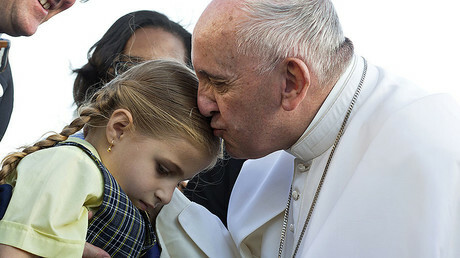 Francis poured water on the foreheads of the infants as part of the ritual. This is not the first time that the Argentine Pope has encouraged mothers to feed their babies during mass. He made a similar appeal at the Baptism service in 2015 and in 2014, as well as in a December 2013 interview with La Stampa. The benefits of breastfeeding extend well beyond basic nutrition. In addition to containing all the vitamins and nutrients a baby needs in the first six months of life, breast milk is packed with disease-fighting antibodies which protect infants from illnesses.